"Those with depth in their soul pray. 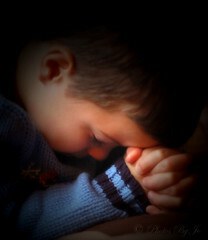 The shallow-souls do not pray." - Brian Zahnd from his blog. I believe people have no "depth in their soul" because they have not fed their spirit with the Word= the Words of Life, His Words are Spirit and they are Life.